Westar’s Zach LeLevier-Joseph, Vice President / Property Manager and wife Leana with Santa Barbara City and Santa Barbara County firefighters at Fireball 2017. Goleta, CA – This past Sunday, May 7th 2017, Westar Associates was a proud sponsor of the 2017 Fireball Event, hosted by the Santa Barbara Firefighters Alliance. The event took place at Dos Pueblos Ranch and included a special performance by Jackson Browne and Greg Leisz. At the beginning of the event, guests were greeted by local firefighters at check in, followed by a fabulous cocktail hour on the beach. Photo opportunities took place for guests to pose with uniformed firefighters, alongside some of the firefighting equipment and vehicles that are used each day. Our very own Zach LeLevier-Joseph, Vice President / Property Manager of Westar and his wife Leana are seen in the photo above with Santa Barbara City and Santa Barbara County firefighters. The activities that followed included an excellent barbecue feast prepared by the different fire stations, and a live auction. 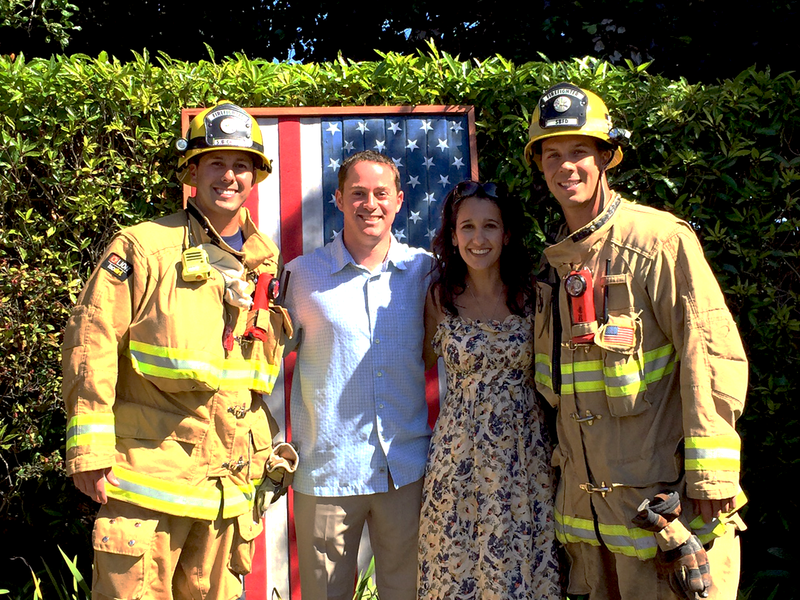 The exciting live auction featured special items such as a customized Fire Station dinner or lunch for 10… priceless! Of course, the evening ended with an excellent performance by Jackson Browne and Greg Leisz. Overall the event was a success and a great way to bring the entire community together to celebrate an amazing cause. The Santa Barbara Firefighters Alliance is a local nonprofit 501c(3) volunteer organization that works in partnership with the city and county of Santa Barbara to provide technical equipment that is not funded by local government. Founded in 2004, the Alliance has raised over $1.3 million to support the efforts of the city and county firefighters. The proceeds from the Fireball Event will be used to purchase a mobile incident command vehicle. The vehicle will be used by first responders of the City of Santa Barbara, County of Santa Barbara, County Office of Emergency Management, Cal Fire, and the US Forest Service to name a few.